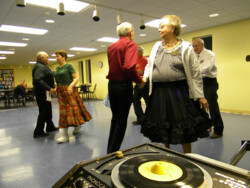 Join the Golden Eagle Square Dancers for Square, Round and Line Dancing fun! We welcome experienced and beginning dancers. If you don’t know how to “Do-Si-Do” or “Boot Scoot Boogie,” we’ll show you how! Dress is casual. 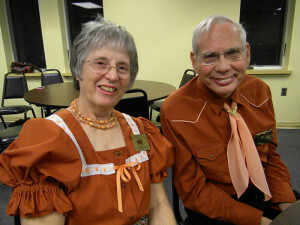 Feel free to show off your square dancing finery or dig out your western wear! Questions? Call Joyce or Jerry Sleeman, 269-385-2385, ten.labolgcbs@nameelsgj or jesleeman@sbcglobal.net.